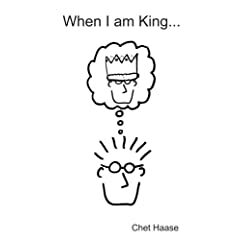 Chet Haase, friend, co-author and former colleague of mine, just published his new book, When I am King. Chet and I will be at Devoxx together to give yet another Filthy Rich Clients talk. If you plan n going to our session and if you get lucky, I might convince Chet to replace his boring part of the talk about Flex by a standup comedy show. Geertjan Wielenga just published his review of Filthy Rich Clients. Some of you asked for an eBook version of Filthy Rich Clients and so far the only way to download a PDF of our book was to subscribe to Safari. You can now buy the PDF only on informIT, without any subscription. Enjoy! Geertjan recently asked Chet and I to choose a few of our Filthy Rich Demos to be included in the NetBeans Sample Catalog. Geertjan also started working on a new NetBeans module that lets you create a New Project template from one or more samples. This module can now be used to add all of the demos in the New Project wizard at once. Also note that Geertjan will soon provide us with a NetBeans module containing all of our demos. That way, you will be able to have them opened in NetBeans by just adding a module to the IDE. InformIT is hosting a free sample chapter of Filthy Rich Clients, the book Chet Haase and I recently published. InformIT offers the full chapter 8 about image processing with Java 2D. Chapter 8 belongs to Part II of the book, advanced graphics rendering. Refer to filthyrichclients.org to download the source code of the examples. Filthy Rich Clients is available and several readers already received their copy. To make sure you can follow all of our examples easily, Chet and I just released the demos of the final chapters: Static Effects, Dynamic Effects and Animated Transitions. These chapters’ demos are our favorites so make sure to check them out! The official web site and the java.net project page now host a total of 82 demos, all available under the BSD license. We hope you will enjoy those demos as much as you will enjoy the book. By the way, the source code of the demos from chapters 14 and 15 of the book Filthy Rich Clients are available. These chapters cover the Timing Framework in depth. The source code, demos and examples for the chapter 10 of Filthy Rich Clients are available online. This chapter presents layered panes. The next batch of demos, focusing on Repaint Manager, will contain my favorite demo, a real-time reflection applied on a QuickTime movie. Our editor told us a couple of days ago that our book has been sent to the printers. Printing should be over in about a month so you can expect the book to hit the shelves early/mid-August. The source code, demos and examples for the chapters 8 and 9 of Filthy Rich Clients are available online. These chapter present image processing and glass panes. The source code, demos and examples for the 7th chapter of Filthy Rich Clients are available online. This chapter presents Java 2D gradients, including the new gradients included in Java SE 6. Some performance tricks are also covered. Note: FTP fixed, you can download the zip files. The source code for the demos of chapters 5 (Performance) and 6 (Composites) from our book is available in the CVS repository. I just uploaded the source code for the demos of the fourth chapter of our book. The source code of the demos are available in the CVS repository. Chapter 4 focuses on images and contains explanations on how to resize images efficiently.